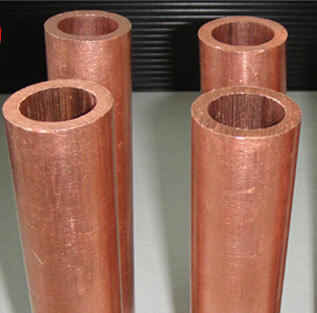 Copper Nickel 70/30 Pipe with 30% nickel content (C71500, C71640) and those which are more highly alloyed with aluminum, chromium or tin are used where greater resistance to seawater flow, sand abrasion, wear and galling, as well as higher mechanical properties, are required. 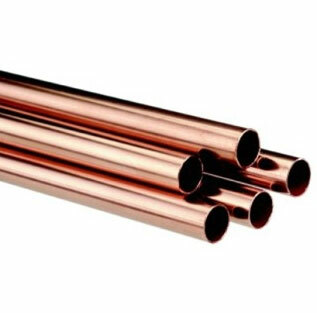 Copper Nickel 70/30 seamless pipe is stronger than the more common copper nickel 90/10 pipe and is able to withstand corrosion at higher velocities in marine applications, making it the favourable choice in submarine systems. 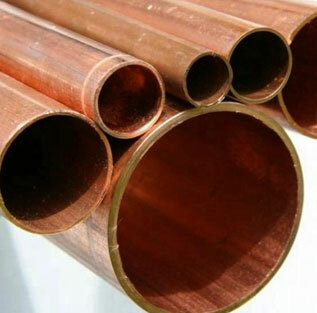 Steel Tubes India is specialist in Copper Nickel 70/30 Welded Pipe & we maintain stock of Copper Nickel 70/30 square pipe & Copper Nickel 70/30 hollow pipe in various size range & diameter. 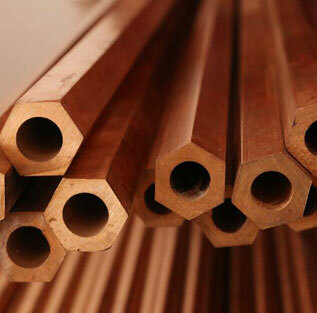 As a largest stockist of ASTM B466/ASME SB466 Cupro Nickel 70/30 Pipe composed of C706 in SCH 40 & 80, along with Class 200, in addition to C715 in SCH 80 in India. 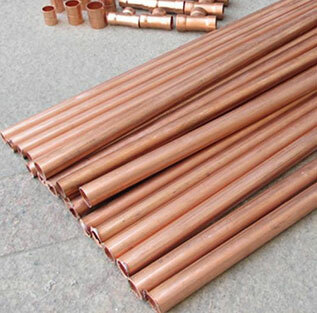 We maintain stock of C706 Copper Nickel pipes, C715 pipes and SCH40 Copper Nickel 70/30 Pipe for any emergencies of pipe line leak. 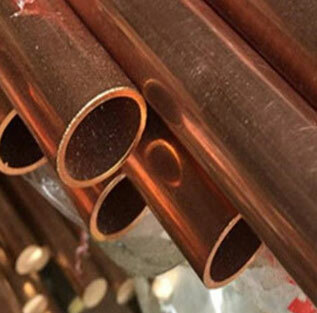 Our Dealers & Distributors in UK, USA, Sweden, Israel, Germany, Russia, France, Italy, Canada, UAE, Saudi Arabia, Malaysia, Singapore, Oman, Kuwait, Qatar, Iran, Indonesia & Australia arrange complete range of Copper Nickel 70/30 pipes in shortest time as well at best price, because we maintain Copper Nickel 70/30 Square Pipe in stock for sale, so it saves time & cost to procure any size range in Cuni 70/30 Seamless Pipe from any other vendor or Manufacturer of Copper Nickel 70/30 Polished Pipe in India. 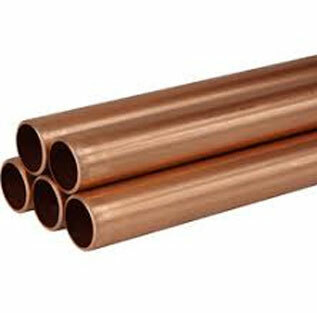 Check our latest price list of Copper Nickel 70/30 Thin Wall Pipe & Copper Nickel 70/30 Straight Pipes, mail to stindia@stindia.com for best price of Copper Nickel 70/30 Round Pipe in Mumbai, Chennai & Ahmedabad, Gujarat. We have our stockholders in India who maintain stock of Cuni 70/30 Straight Pipe and other types of Cuni 70/30 round pipe in regular sizes. Our Distributor in India are in following locations: Mumbai, Delhi, Bangalore, Hyderabad, Surat, Pune, Nagpur, Indore, Ahmedabad, Chennai, Kolkata, Thane, Vadodara, Nashik, Bhopal, Visakhapatnam, Faridabad, Rajkot, Aurangabad, Ranchi, Coimbatore, Raipur, Mysore, Kochi (Cochin), Bhavnagar, Tirupur, Bhubaneswar, Salem, Bhilai, Bhiwandi, Bikaner, Mangalore, Ankleshwar, Assam and Siliguri. You can contact them directly for best price & exact delivery time for required size near you. Steel Tubes India offers all Cu-Ni 70/30 Straight Pipes for the Oil & Gas and Refinery Industry in the form of Cuni 70/30 Round Pipe, 70/30 Cuni Hexagonal Pipe, 70/30 Cu-Ni Square Pipe and Cuni 70/30 Hollow Pipe. Cuni 70/30 Thin Wall Pipe typically finds application including Marine, Aerospace industries, Chemical processing, Nuclear reactors, Pollution control equipment etc. 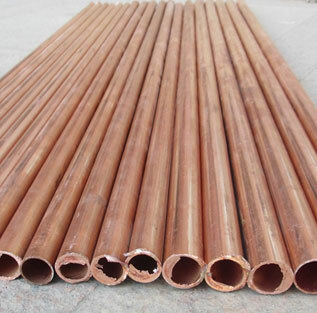 All of our Cupro Nickel 70/30 Pipe are produce by our professional workman and we have our high-work-effect foreign trade team, you can totally believe our service & high quality Cupro Nickel 70/30 round pipe. 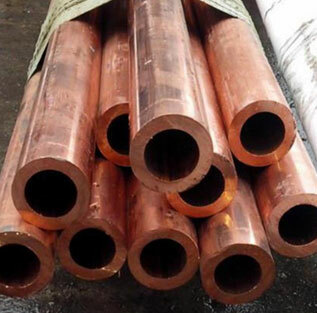 Nominal Cupro Nickel 70/30 Pipe size available in SCH20, SCH30, STD, SCH40, SCH60, SCHXS, SCH80, SCH100, SCH120, SCH140, SCH160, SCH XXS in a wide range of wall thickness. 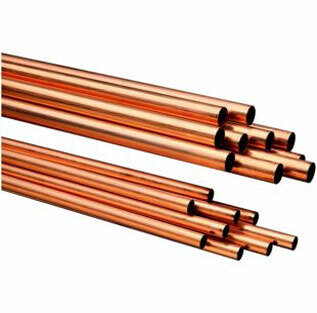 These Cupro Nickel 70/30 pipes are usually seamless and pressure rated to avoid leakages as they usually carry liquids or gases. 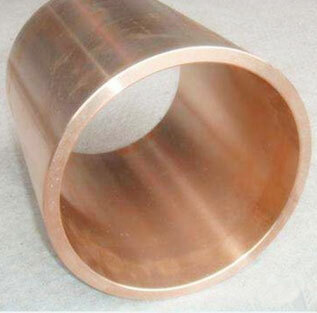 Cupro Nickel 70/30 Seamless Pipe ends are available with plain or beveled form. Round, Square, Hollow, Rectangular, Hydraulic, Straight Pipes Etc. 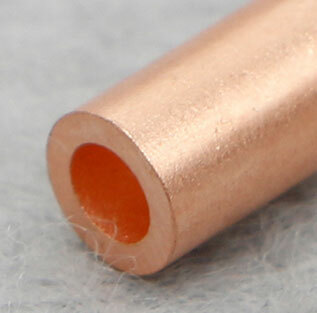 The Pipe are made of pure electrolysis copper. 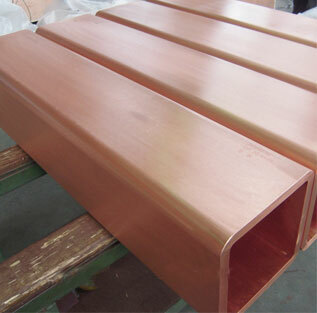 Pipe are of good heat conductibility. Thus, they are widely used for heat exchangers, radiators, coolers, electro-heat-up pipe, Air conditioner and refrigerators. straight pipes can be used for oil transportation, brake pipes, water pipes and gas pipes for construction. mill, polished, bright, oiled, hair line, brush, mirror, sand blast, or as required. 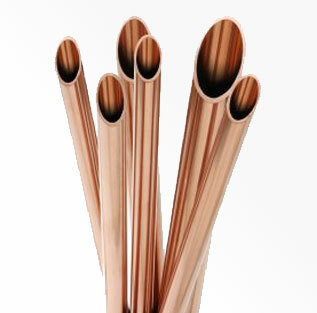 Steel Tubes India has been supplying Thin wall copper pipe to the Oil & Gas, Petrochemical and Power Industries for over 40 years. We designed and manufacture these Copper Nickel 70/30 ERW Pipe as per international standards to provide the perfect combination of reliability and good flow characteristics. 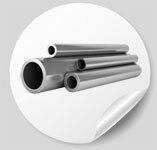 Steel Tubes India is stockist & supplier of highest quality Hard Drawn Copper Nickel 70/30 Pipe, Copper Nickel 70/30 Bush Hex Pipes & Copper Nickel 70/30 Pipe to meet the exacting requirements of the International Petrochemical Industry. 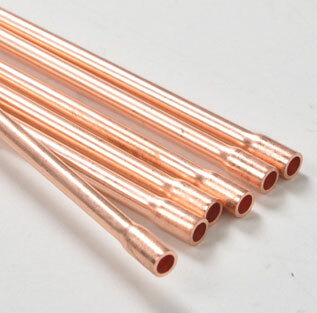 These Copper Nickel 70/30 DIN 2.0882 Pipes & ASME SB466 Seamless Copper Nickel 70/30 Pipes are mainly used to connect and create highly reliable and complex pipe-work systems in petrochemical industry. 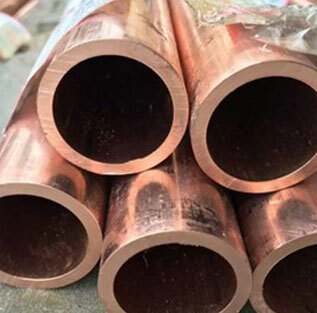 If you are looking to buy AC Copper Nickel 70/30 Pipe, Copper Nickel 70/30 Welded Pipe or Copper Nickel 70/30 Seamless Pressure Pipe at best price in India, send an email to stindia@stindia.com, we will send you the Free Quote & recent price of Refrigeration Copper Nickel 70/30 Pipe along with inspection & delivery schedule. Steel Tubes India is a Govt. 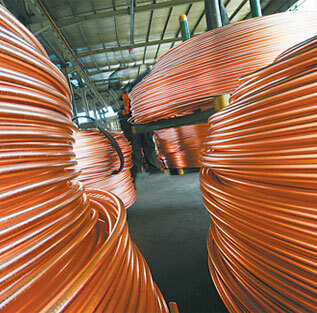 of India recognised Exporter of Copper Nickel 70/30 Seamless Pipes in India and shipping to Europe, Trinidad & Tobago, Singapore, Qatar, Ethiopia, United Arab Emirates, Oman, Malaysia, Kuwait, Canada, Australia, United States, New Zealand, United Kingdom, St. Helena, South Africa, India, Nigeria, Ghana, Hong Kong, Saudi Arabia, Philippines, Ireland, Pakistan, South Korea, Iraq, Norway, Finland, Egypt, Netherlands, Denmark, Iran, Kenya, Sweden, Thailand, Indonesia, India, Belgium, Taiwan, Greece & Germany since 2002. 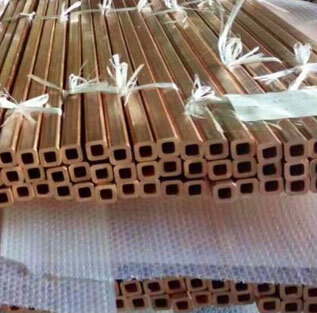 We have our Copper Nickel 70/30 Pipe dealers & distributor in UK, USA, Sweden, Israel, Italy, Russia, France, Germany & Australia to provide you fast delivery of Thin wall copper pipe, Cupro Nickel 70/30 Seamless Pipe, Copper Nickel 70/30 EFW Pipe, Copper Nickel 70/30 Round Pipe, Copper Nickel 70/30 Custom Pipe & ASTM B466 Cupro Nickel 70/30 Polished Pipes with permanently marked with size, schedule, grade, and heat code. Trademark: Special Metals Group of Companies (Inconel, Incoloy and Monel), Haynes International (Hastelloy), Outokumpu Stainless (254 SMO).